Julia Robinson is the director of the Cecilia Berg Center for Environmental Education and the senior project manager and museum educator at the Robert A. Hefner Museum of Natural History. She works to develop a love of nature in young children. 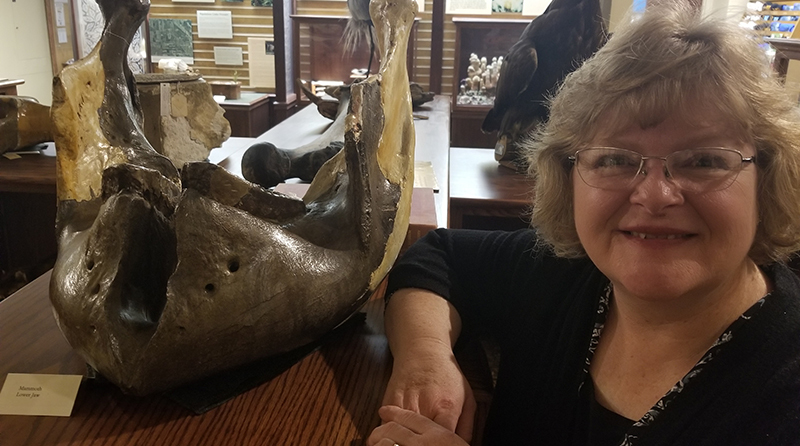 With more than 54,000 specimens in the museum, she has much to share. Q: Why did you come to Miami? A: Before coming here, I was the director of a preschool. I brought my children here to the Hefner Museum and fell in love with it, so much so that I told the former director to let me know if he ever needed an early childhood person. About two and a half years later he interviewed me on my front porch and I’ve been here ever since I started in 2011. Q: Were you just enamored with the Hefner Museum or was there more to it? A: Yes, I think I was enamored by it. But I’m also a firm believer that we need to work with young children to develop a love of nature. That was my reason for coming to the museum. I think there are too many burdens put on children too early. We should not immediately discuss climate change; instead, we should work on helping young children to develop a love of nature. When you do that, you develop a sense of place and ownership. That’s when they want to grow up to take care of the world, to take care of the earth. Science has been a major part of every age level that I’ve ever taught. Q: Is climate education the motivating factor behind your work? A: No. The motivating factor simply is that we want people to connect to nature. I want children to develop a love of nature and love of learning without the heaviness of the other things. As they get older and reach fourth grade and up, we see that children can take on those kinds of issues to discuss. And because we’re already developing that love of nature early on, they want to then be the advocates when they’re older. By the time they reach high school they’re ready to take on those challenges. They’re going to be our future lawmakers, our future everything. Q: What’s your favorite exhibit here? A: Oh my goodness, I don’t think I have a favorite exhibit. I think whatever it is that makes somebody say, “Whoa,” that’s my favorite exhibit that day. Educational kits bring the museum to children. Q: How does the museum engage with people? 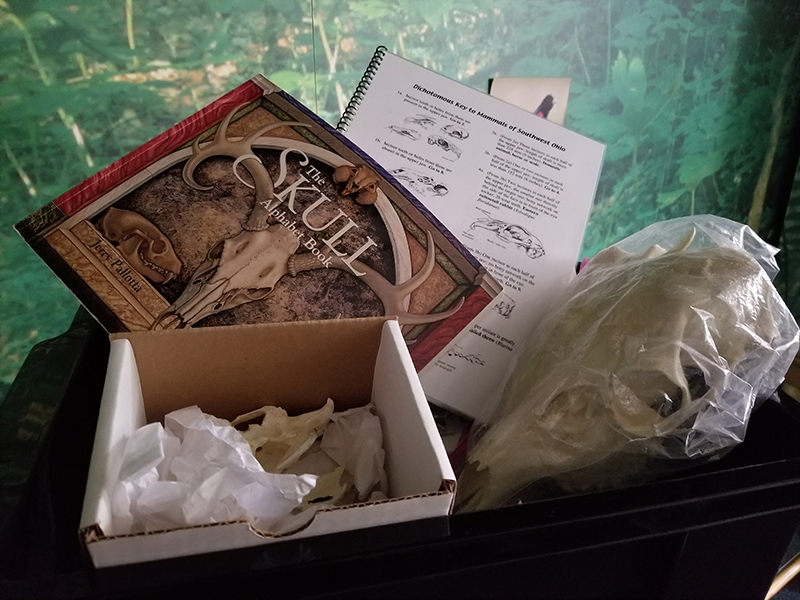 A: One of our main outreach programs that we have with the tristate area is our Discovery Trunk program, where we have educational kits containing authentic objects and activities aligned with Ohio science standards. If it’s about mollusks, we pack it with mollusk shells. One of my favorites is called the Ohio mystery mammals where we give five clues inside each box. It could be a track, it could be a fur sample, it could be a skull, and students using that kit have to determine what the animal is. We also offer classes and certification programs. Our newest program is Taxidermy Tuesday where people can learn more about the steps of taxidermy. Q: What are the museum’s main events? A: We recently completed the 44th annual Hefner Lecture where we invite someone prominent in the field of environmental education. Lee Dugatkin came and spoke to a crowd of almost 400. He worked with Russian researchers on the domestication of the fox. In 2017 we had Sean Carroll discuss how life works. One year we had the ocean doctor David Guggenheim. The event gives the public and the Miami community the opportunity to connect with nature and meet an expert in the field. Q: Does the museum feature other learning events? A: The STEM Girl’s Day Out was a program that the Cincinnati Museum Center had arranged, where every month girls in the Cincinnati area sign up to go to different STEM centers. They may have a robotics day or an engineering day, and the Museum Center came to us needing a day devoted to biology. They brought a bus of 30 girls up to meet with female researchers at the biology department. We also opened it up to engineering, kinesiology and other departments. It was important for those little girls to see women of science doing great work. A: Natural history applies to all majors and all people. Come to the museum and see that integral fit.